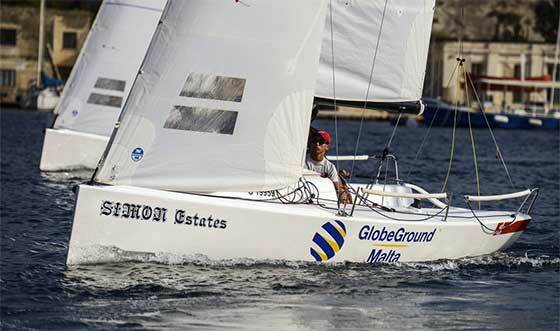 The J70's are back in action with the forthcoming 2015 Simon Estates J70 Regatta to be held between the 19th and 20th September at the Royal Malta Yacht Club. The J70 fleet is a one design class, meaning that all teams race in identical boats. The first to cross the line wins. Currently Malta boasts a fleet of five boats, crewed by some of Malta's leading sailors, most of which have competed in the Rolex Middle Sea Race and J70 races abroad. Current title holders, Team Betsafe, fresh from their return from the J70 Euro Cup, where they achieved a prestigious third place on the winners' podium, will be going all out to defend their title. Organised by the J70 Association in conjunction with the Royal Malta Yacht Club the Regatta will consist of a series of windward/leeward qualifying races held along the Sliema seafront whilst the final races will take place in Marsamxett Harbour, making it for better viewing for sailing enthusiasts gathered at the Royal Malta Yacht Club. A number of guests have been invited to share the thrills of J70 racing and will join the crews for the final series on Sunday afternoon. As always the social aspect of sailing plays an important part in these Regattas. Crews and friends are invited to join post sailing drinks and nibbles on Saturday afternoon, whilst a Pimm's Bar will be set up on the RMYC terrace on Sunday afternoon from 15:30hrs to watch the Regatta Finals.